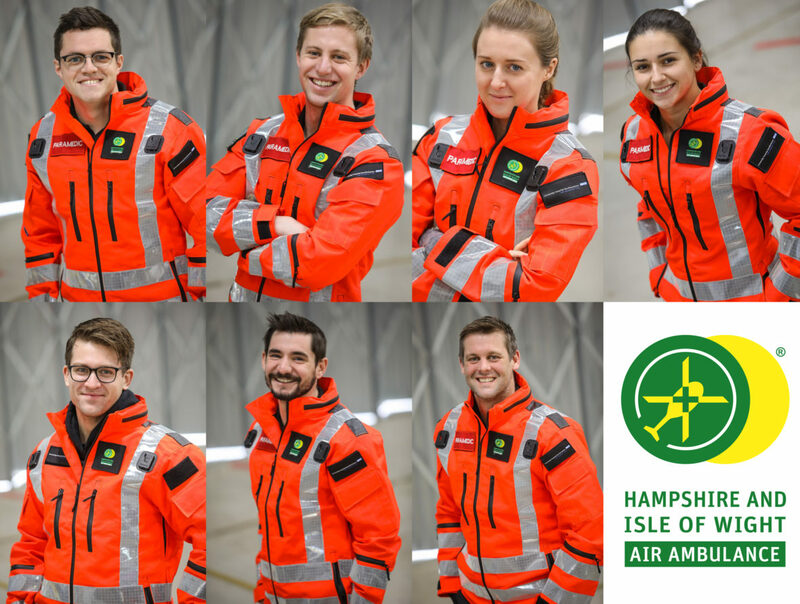 Hampshire and Isle of Wight Air Ambulance (HIOWAA) have started the New Year with seven new trainee Critical Care paramedics joining the Charity Critical Care Team. HIOWAA made the appointments as a response to an increase in demand for the life-saving service. Missions across Hampshire and the Isle of Wight have doubled since the Critical Care Team Vehicle became operational in 2017. Selected from a total of 89 applicants, the seven trainee Critical Care paramedics had to complete a tough selection process comprising fitness tests and other scenarios designed to test their medical skills, as well as their compatibility with the Charity values; dedication, professionalism, team work and openness. A crucial part of the recruitment process is the fitness test and swimming assessment. The teams must be physically fit to carry heavy life-saving equipment to their patient. Those who successfully passed were then invited to the Charity Airbase to undertake incident scenarios before being invited back for a formal interview. Last year, Hampshire and Isle of Wight Air Ambulance responded to 1,429 emergencies across the south. It costs £15,000 a day to keep the life-saving service operational. After my husband collapsed from a cardiac arrest on 23rd January. The paramedics and air ambulance team arrived and helped resuscitate him. Sophia drove me to Southampton General and was a great comfort. A huge thank you to all the team and Nick the doctor who persevered with the resuscitation. Mike has made a full recovery in mind and body and will be home shortly. Without these wonderful people he would not be here. Thank you so much for your kind comment, Dolores. We’re delighted to hear how Mike is doing. If you ever felt ready to let us share your experience to our supporters, please do let us know. We wish you all the best for the future. I would be happy for you to share my experience with supporters and again a huge thank you. Thanks to all of you for all the good you do for us. Post your comment about this article below. Save Up to Suit Up success! Join us for our new night mission: Dash in the Dark!